Welcome to the RCT Aquathlon homepage. Hopefully this page will answer some of your questions about the event, however the page will be updated with more information nearer to the event. The RCT Aquathlon is suitable for all abilities, from those undertaking their first event to more seasoned athletes. Registration will be open from 9.00am and the first wave will be off at 10.00am and subsequent waves will be started every 15 minutes. 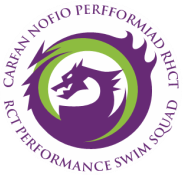 The swim will be 400m (16 lengths) of the LidoPonty pool, all athletes will be seeded according to their estimated 100m swim time which you gave us on the entry form and you will be in a wave with people of similar ability. The run will be over 4km around the perimeter of the traffic free Ynysyngharad Park and will be well marshalled. There will be changing facilities and warm showers available pre and post event. There will also be a stall selling tea, coffee and hot chocolate along with homemade cakes.